Did Herod Really Order the Execution of Male Babies in Bethlehem as Reported in Matthew 2? Because the event (often referred to as the “Massacre of the Innocents”) isn’t referenced in any historical text outside of Matthew 2, many skeptics reject the account as mere fiction. Is Matthew’s account of the “Massacre of the Innocents” based in historical fact or fiction? Male Babies in Bethlehem as Reported in Matthew 2? The following description of events is set forth in chapter 2 of the Gospel of Matthew in the New Testament. Magi from the east (pseudo scientists and astronomers probably from Babylon or Persia more) arrived in Jerusalem saying they had seen the “star” (aster) of the one born king of the Jews (more) and had come to worship him (Matt. 2:1-2). That announcement disturbed Herod (aka Herod the Great) and all of Jerusalem (more) (Matt. 2:3). While in Jerusalem, the Magi learned it had been prophesied in the Old Testament that the anticipated Jewish king would be born in Bethlehem (Micah 5:2, Matt. 2:4-6). However, before the Magi left Jerusalem for Bethlehem in search of the Jewish king, Herod secretly met with them to ascertain when they had seen the “star” (aster) of the king appear. Then, under the guise of desiring to pay homage to the new king, Herod told the Magi to report back the whereabouts of the king when they found him (Matt. 2:7-8). The Magi found Jesus in a house in Bethlehem with his mother (Matt. 2:11), but because they were warned in a dream not to return to Herod, they left Bethlehem for their homeland in the east by another route (Matt. 2:12). Many skeptics reject Matthew’s account of the “Massacre of the Innocents” because the event is not referenced in any historical record other than Matthew 2:1-16. Most notably, even the Roman-Jewish historian Josephus did not reference the event. Only a fraction of the ancient historical documents originally produced by ancient historians have actually survived to the present time. For the foregoing reasons, Christian apologists maintain it is both arbitrary and unfair for skeptics to insist Matthew’s account of the “Massacre of the Innocents” be disregarded as fiction solely because no other reference to the event has been found. Additionally, as set forth below, not only does Matthew’s account of the “Massacre of the Innocents” ring true because it is consistent with Herod’s murderous reputation (see, Point No. 2 below) and his psychological profile (see Point No. 3 below), but good reasons have been proffered to explain why Matthew may have included the event it in his writings while other writers did not (see, Point No. 4 below). By the time Herod the Great died (4 B.C. or 1 B.C. ), he had developed a widespread reputation as a ruthless ruler who committed multiple acts of murder, even against members of his own family. Moreover, the Roman Senate had set precedent for ordering the killing of all male babies in a certain age range to eliminate a threat to its power. As noted by Rick Larson (a proponent of the Jupiter proposal for the Christmas “star” more), 60 years earlier when the Roman Senate heard a new ruler may have been born, it ordered the death of all baby boys covering the applicable an age range. [Rick Larson, “The Bethlehem Star” (2007)] This precedent not only could have given Herod the idea to execute all the baby boys in Bethlehem under the age of two to eliminate the potential threat from the newborn Jewish king, but as a Roman client king, it would have given him the license to do so. Given the above, Matthew’s account of the “Massacre of the Innocents” certainly has historical support. In 2007, Aryeh Kasher, Ph.D. (an expert in Jewish history during the Second Temple period from 530 B.C. to 70 A.D.) collaborated with psychiatrist, Eliezer Witztum, M.D. 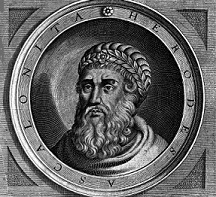 (a senior staff psychiatrist) to develop a psychological profile of Herod the Great based on the facts recorded by Josephus whose sources included Nicholas of Damascus (a tutor to Herod’s sons and one of Herod’s advisors). As recognized by many biblical scholars, the authors of the four gospels directed their writings to different audiences. Things that would have only been of interest to a Jewish audience were included in Matthew’s gospel while omitted from other gospels. For example, Matthew begins his gospel by tracing Jesus’ genealogy back to David and Abraham (ancestors of the promised Jewish Messiah). About 1,000 years before Jesus was born, it was prophesied that the Messiah would come from the seed of David and Matthew consistently refers to Jesus as the “Son of David” (Matt. 1:1; 9:27; 12:23; 15:22; 20:30; 21:9,15; 22:42,45) which would only have had meaning to a Jewish community. While other gospels explain Jewish customs (see, e.g., Mark 7:3-4; 14:12; 15:42), Matthew refers to Jewish customs without explaining them, an indication he believed his readers were familiar with the customs so did not need to have them explained. Based on the above, Matthew may have included the account of the “Massacre of the Innocents” (which took place in a small, rural Jewish town and involved Jewish babies) because the event would have been especially significant to his Jewish audience . Matthew only says Herod “gave orders to kill all the boys in Bethlehem and its vicinity who were two years old and under”; the term “massacre” wasn’t associated with the event until much later. There are many other massacres documented by historians which involve only a handful of victims. Therefore, the term “Massacre of the Innocents” does not mean vast numbers of babies were killed in Bethlehem. This is made even more clear since Bethlehem was a very small town. As reported in 1 Chronicles 2:50-51, Bethlehem was founded by Salma (King David’s great great grandfather – Salma » Boaz » Obed » Jesse » David). Salma is also found in Jesus’ genealogy recorded in Matthew 1 (see, Matt. 1:4-5). Micah the prophet prophesied that even though Bethlehem was “small among the clans of Judah”, a ruler over Israel (whose origins are from ancient times) would come out of Bethlehem (Micah 5:2) which is what the Magi were told when they arrived in Jerusalem looking for one born king of the Jews (Matt. 2:1-3). Bethlehem was a rural community. It was at or near Bethlehem where David was tending sheep for his father (Jesse) when Samuel anointed him the future king of Israel (1 Samuel 16:1-2, 10-13). 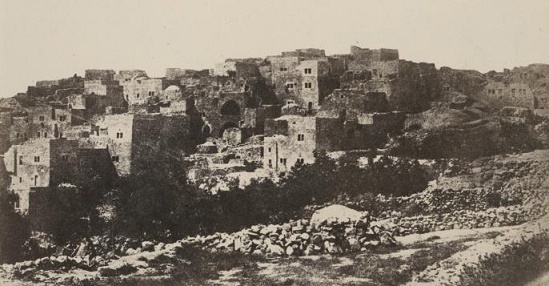 When the Magi visited Jesus in Bethlehem, it was still an area where shepherds tended flocks, particularly the sheep used as sacrifices at the temple in Jerusalem. According to the Gospel of Luke, Jesus’ birth was announced to shepherd’s tending flocks in fields near Bethlehem and they went to Bethlehem and found Jesus lying in a manger Jesus (Luke 2:4, 8-11, 15-16). Around the time of Jesus’ birth, scholars estimate the total population of Bethlehem to have been about 300 to 1,000 people, including 6 – 30 male boys under the age of two. [See, Michael J. Wilkins, Zondervan Illustrated Bible Backgrounds Commentary, pg. 19 (2002), Raymond E. Brown, The Birth of the Messiah, pgs.104-121 (1993), Donald A. Hagner, World Biblical Commentary, Vol 33a, pg. 37 (1993), William Albright & C.S. Mann, The Anchor Bible, Vol. 26, pg. 19 (1971) and Paul Maier, “Herod and the Infants of Bethlehem”, Chronos, Kairos, Christos II, pg. 178, fn 25 (1998)]. Accordingly, the total number of baby boys who could have been slaughtered in the “Massacre of the Innocents” was 6 – 30 and at least one baby escaped — Jesus (Matt. 2:13-14, 19-23). As stated by Werner Keller, during Herod’s thirty-six year reign, hardly a day passed without someone being sentenced to death. [Werner Keller, The Bible as History, pg. 334 (1981)] An average of one killing per day for 36 years totals over 13,000 killings. With the above in mind, Christian theologians and scholars maintain that the lack of known references to the “Massacre of the Innocents” in historical texts outside of Matthew 2 does not reasonably prove the event is made-up fiction as some skeptics insist. Because historians can never document all the events that occurred during a particular point in history and because only a fraction of ancient historical documents have survived over time, on its face it seems imprudent to write off the historicity of any ancient historical writing (including Matthew 2) solely because the an event referenced in the text is not found in other historical writings (above). Based on the above, Christian apologists maintain it is unreasonable for skeptics to insist Matthew’s account of the “Massacre of the Innocents” be disregarded as mere fiction. Slideshow Photo: Giotto di Bondone (1267 – 1337) was an Italian painter and architect. This slideshow photo is of Giotto’s painting of the “Massacre of the Innocents” was done on the 1310’s. The image was downloaded from www.wikimedia.org which states the image is a faithful photographic reproduction of a two-dimensional work of art which is in the public domain in the United States, and those countries with a copyright term of life of the author plus 100 years or less. Herod the Great: This image of an artist’s impression of Herod the Great was downloaded from www.wikimedia.org which states the image is in the public domain. Bethlehem c 1956: This work of art by Auguste Salzmann was downloaed from www.wikimedia.org which states the image is in the public domain in the United States, and those countries with a copyright term of life of the author plus 100 years or less.